Walter Baade. Photo courtesy Mt. Wilson Observatory. Walter Baade was a German-born American astronomer who classified stars into two distinct population types, found each type had a distinct kind of Cepheid variable (a crucial cosmic distance indicator), and deduced from this that the universe was roughly twice as big and old as previously thought. Having earned his Ph.D. at Göttingen, Baade began his career at the Hamburg Observatory but moved to the United States in 1931 in search of bigger telescopes (although he never became an American citizen). The rest of his career, until his retirement in 1958, was spent at the Mount Wilson and Palomar Observatories. In the 1940s, as an enemy alien, Baade was able to continue observing while other astronomers were away on war duty and to take advantage of the unusually dark skies provided by the Los Angeles blackout. Under these favorable conditions he began a survey of the Andromeda Galaxy, resolving, for the first time, stars in the central region. This enabled him to distinguish two types of stars: young, hot "Population I" objects concentrated in the spiral arms of the galaxy, and an older stellar "Population II" in the central galactic region. He later found that the Cepheid variables of these two populations differed in their period-luminosity relations, forcing a reevaluation of the distance to Andromeda and other external galaxies. In 1952, he published results showing that the universe was more than double the size and age of earlier estimates (a relief to geologists who could now sleep at night knowing that Earth was younger than the cosmos!). 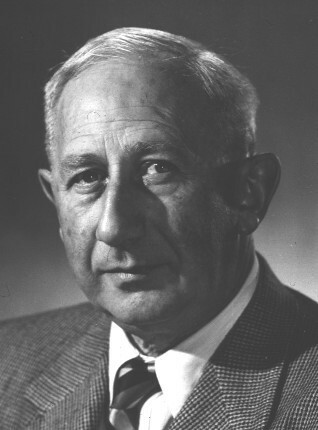 Baade produced other important results, particularly through collaboration with Fritz Zwicky and Rudolph Minkowski. He and Zwicky proposed, in 1934, that supernovae could produce cosmic rays and neutron stars, and Baade made extensive studies of the Crab Nebula and its central star. He distinguished two types of supernovae and, with Minkowski, identified optical counterparts of many of the first-discovered radio sources, including Cygnus A and Cassiopeia A. Minkowski, however, disagreed with Baade's suggestion that Cygnus A was two galaxies in collision and a bottle of whiskey was bet on the outcome. Weeks later, after obtaining a spectrum of Cygnus A, Minkowski conceded the bet – but left Baade disappointed. "For me," Baade said, "a bottle is a quart. What Minkowski brought was a hip flask ... Two days later ... Minkowski visited me in order to show me something, saw the flask, and emptied it." (With hindsight, the drink should probably have been split: Cygnus A is now known to be a single elliptical galaxy – not two colliding spirals as Baade had proposed – but almost certainly the product of a past collision.) Baade is also remembered for his discovery of the minor planets (1920) Hidalgo and (1949) Icarus.